A couple of months ago I re-created the original artwork for two all-time classic Who albums, both of which have been reissued this week. And both on glorious heavyweight vinyl. It’s so good to be producing artwork for vinyl again after such a long absence. I never thought I would be doing them ever again. Never for a minute thought that we would be listening to our sounds on records that you had to get up and turn over to hear the other half of the album. First up is the reissue of Meaty Beaty Big and Bouncy, a compilation album from 1971 with a terrific cover concept thought up by Bill Curbishley and Mike Shaw and photographed by Graham Hughes. The original title of the album was to have been The Who Look Back, hence the album concept. Last year a bloke got in touch with me to say that he was one of the kids featured on the front cover – the one leaning against the wall pretending to be Roger Daltrey. 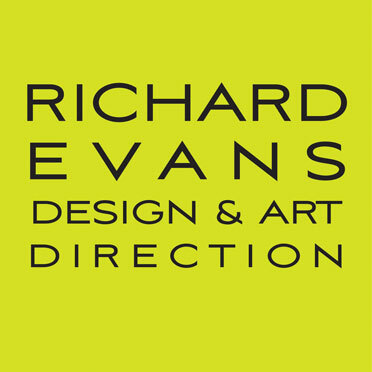 He’s Frederick Davis. The kid leaning against the door (Keith Moon) was his friend Terry Simpson, the one seated on the steps with the guitar (Pete Townshend) was a boy called Barron Arnold and the one on the far right (John Entwistle) was Bill Curbishley’s kid brother Paul. The new title was supposed to represent the four members of The Who. ‘Meaty’ is Roger because he’s so fit, ‘Beaty’ was Keith because he played the drums, ‘Big’ was John because he was, er, big and ‘Bouncy’ is Townshend because Pete leaps around a lot on stage. 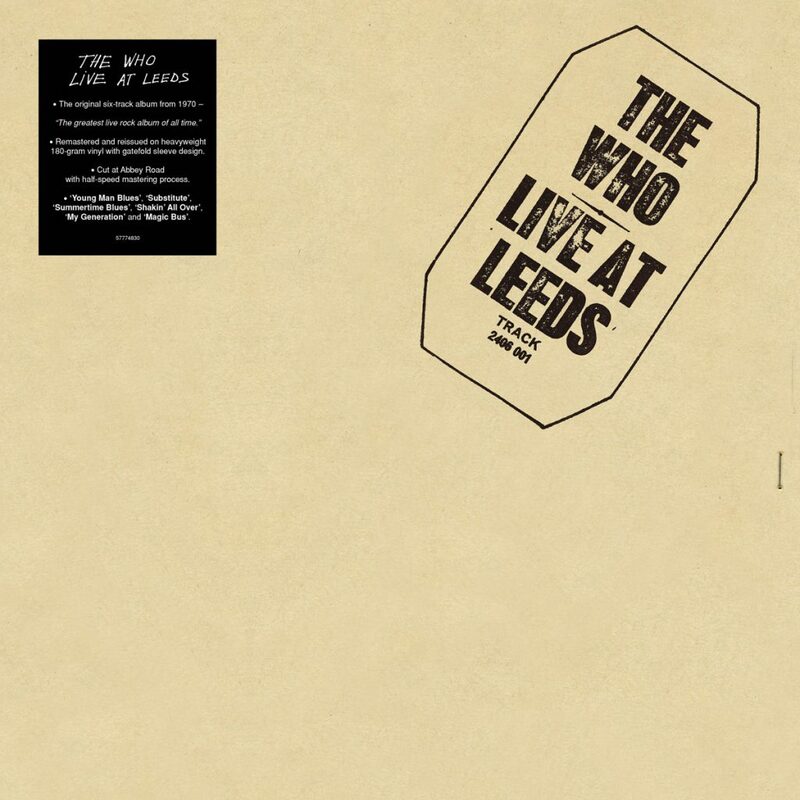 The other reissue I produced new artwork for was Live at Leeds, acknowledged to the best live album by any rock band . . . ever. I’ve done a few reissues of Leeds over the past 20 years, some complete with all the inserts which had first appeared in the original. This is a budget reissue of that original album with it’s basic six tracks over two sides so, sadly, no inserts. I laid out all the facsimile inserts on both sides of the inner liner bag so at least you do get to see ’em. The 1970 album cover was brown cardboard stapled together with pockets to hold the LP and inserts and the front rubber-stamped to give the look and feel of a bootleg. This time round, I printed the staples on the front and back! And the rubber stamp I produced in black to replicate the original first pressing of just 1,000 copies. After that initial pressing, the stamp was then printed in blue and later in red. And in case you’re wondering . . . yes, those crackling noises have been corrected.